Couples: - Initial Consultation £45, Relationship counselling £80 (60 minute session). Gareth founded West London Counselling, Hypnotherapy and Psychotherapy Services in 2013 after moving to London from his busy practice in Kent. He has always been intrigued by the workings of the human mind; what compels people to become who they are and how they can become trapped by their own thoughts and emotions, destined to repeat unhealthy or destructive cycles over and over again. As an active member of St. John Ambulance for over 20 years, Gareth enjoyed that feeling of knowing he was making a real difference to people's lives and well being. When he began looking for a career change, that passion for helping others and his interest in the human mind made a career in psychotherapy and counselling an obvious choice. He began training with a company called "Chrysalis", achieving Diplomas in Hypnotherapy, Psychotherapeutic Counselling and Advanced Counselling and Psychotherapy. 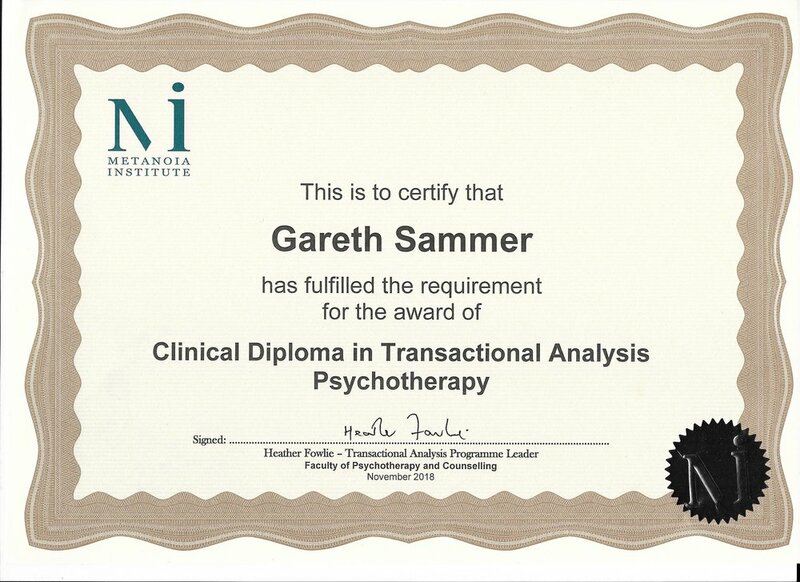 By the time he qualified, he had the desire to specialise in Transactional Analysis Psychotherapy. An extremely reputable and prominent TA training programme was found at The Metanoia Institute based in Ealing, West London. 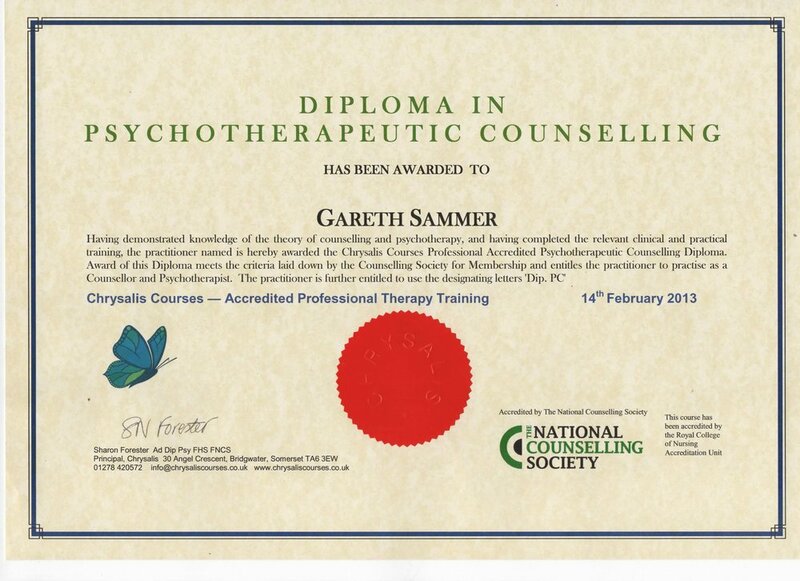 Here Gareth embarked upon the MSC (Master's) Degree in Transactional Analysis Psychotherapy. 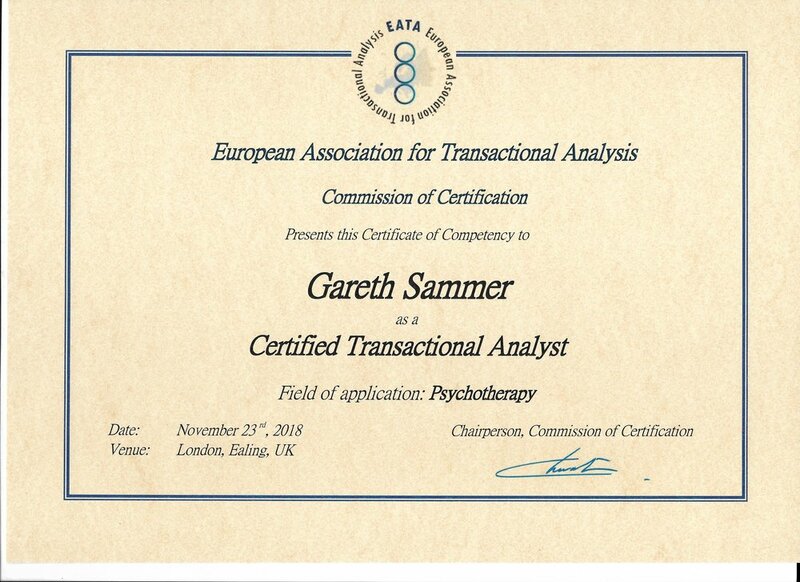 He gained his MSc, along with his Certificate in Transactional Analysis Psychotherapy and Diploma in Psychotherapy in November 2018. After moving from his practice from Kent to London in 2013, Gareth began by opening the Chiswick branch of his counselling, psychotherapy and hypnotherapy practice. He then grew his team of psychotherapists and counsellors, expanding into South Ealing, North Ealing and Fulham. As well as his successful private practice, Gareth has experience working with the Metanoia Counselling and Psychotherapy Services in Ealing as well as the Ealing Abbey Counselling Services. 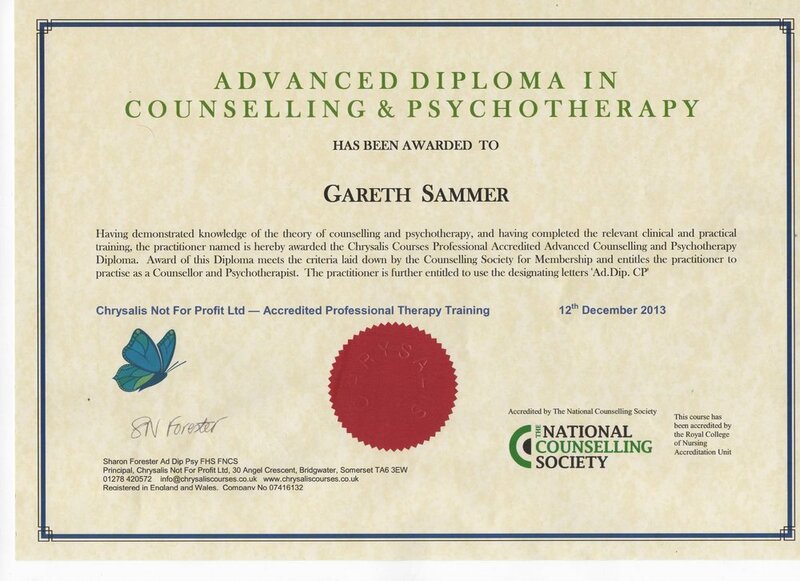 In 2018 he also began running psychotherapy and counselling training workshops. Over the years, Gareth's work has featured in several newspaper articles, he has been interviewed live on BBC radio and has appeared in several internet television features discussing various aspects of hypnotherapy, counselling and psychotherapy. 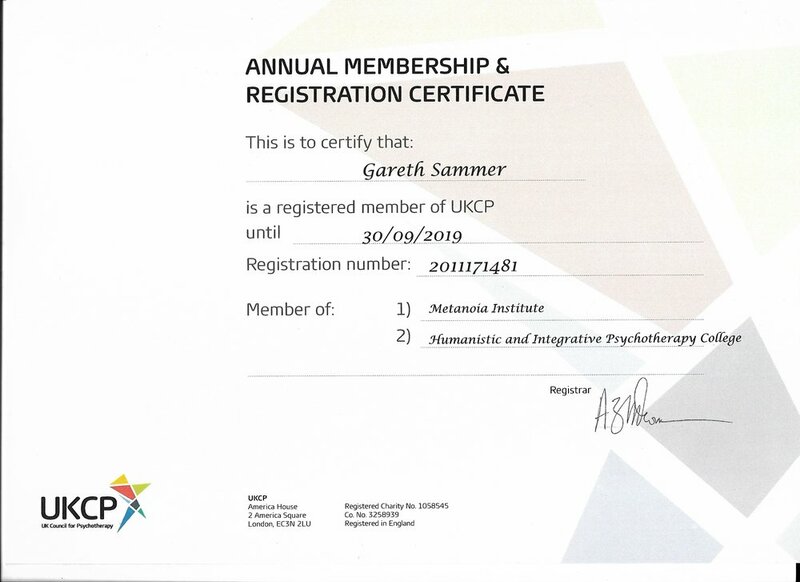 Gareth holds accredited membership with the UKCP, one of the leading bodies for Counselling and Psychotherapy in the UK. 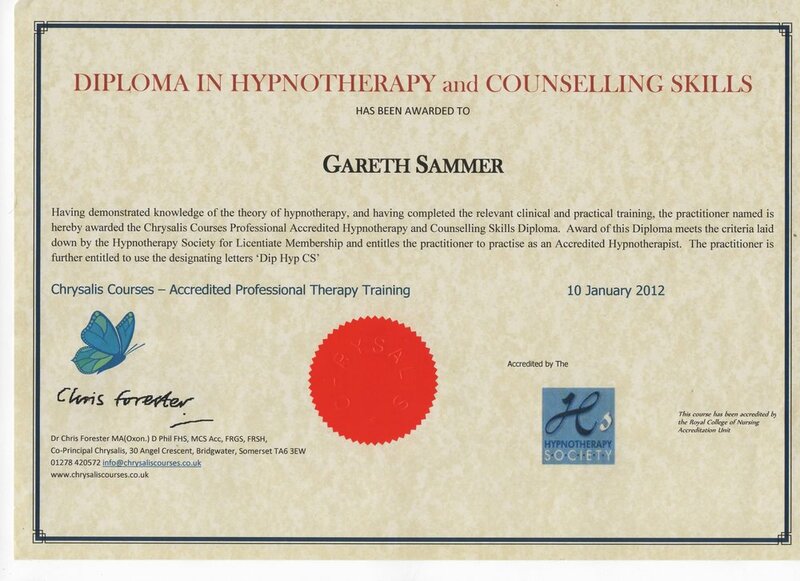 He also holds professional grade membership with the National Hypnotherapy Society and the National Counselling Society. 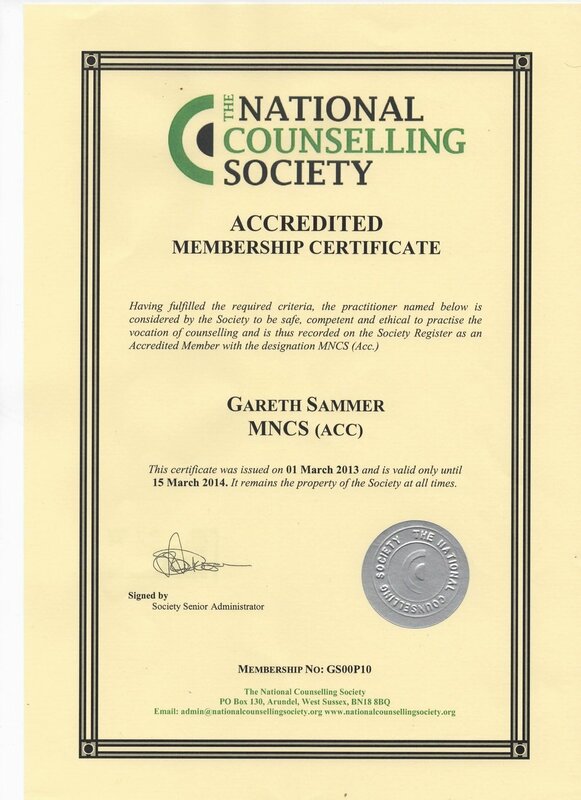 As part of these recognised bodies, he is bound by their code of ethics and rules of practice. If you would like to know anything else about Gareth, please feel free to contact him.